Note when handling glass mind your edges as a tap to the corner can make glass explode when structure is compormised. Flames and Appliance, hot pans, pots etc should not be be pressed up against glass when elements or gas burner is on, whilst glass has a high heat tolerance the coatings on the back of glass are not as forgiving. Only apply cooking pans within the parameter of cooking electrical or gas element. Pans and pots should never sit over cooking parameter where it extends over to benchtops or wall backings. Cooking should always be monitored and never left unattended. DO NOT LEAVE PANS OR HOT POTS RESTING ON GLASS OR POLYMER BACKING EVER> ISPS INNOVATIONS DO NOT WARRANTY THIS AT ALL. If you have purchased Bonethane or DIY IPA Acrylic Spalshbacks and have purhcased a custom Vetropoly Toughened glass heat shield, note that glass should be installed first and centred adding optional trim or fillers either side, then the progression of the balance of the DIY splashback should be added. This can also be done the other way, following your line of planning and measure. Look at the whole installation process prior to starting, map out the difficult areas keeping your areas seemless and ensure you have a plan of your layout prior to starting. Call our office if help is required. In this image, we have provided a fire rated toughend glass insert to go behind a gas burner. 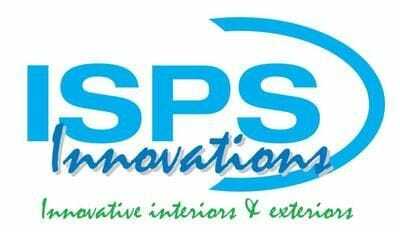 ISPS Innovations can do this for all our polymer splashbacks in IPA Acrylic Splashbacks, Bellassimo Acrylic Splashbacks & Bonethane Premium Splashbacks . Note up to 25% variation can arise, whilst ISPS Innovations work on colour toning and blending our VetroPoly Glass. The toughend glass colour should be considered, the earthier the colour the higher the colour variation ratio on the glass when matched up to our polymer DIY splashbacks. So ISPS will focus on blending the glass insert to suit the decor where a gas hob and decor splash resides. Other options: choose another glass colour that can look striking with the right contrast, see this examples below. Our Toughened glass meet Australian Standard Regulations for behind gas cook tops & burners. When measuring ensure 3mm gap is left around the area. Consider Range hood, power & tap hole cut outs(diamater, single & double outlets) window areas, the lines of your cupboards areas and underlying cupboards as this can cause issue when fitting glass. Polished edges should also be considered. ISPS will have some indepth information placed up on our website shortly on VetroPoly Toughened Glass the right choice for your gas cooktop. Generally tempered or toughend glass will only explode ( loud gush noise) if there is a weekness somwhere. If you placed a blow torch on toughened glass this will explode into a million pieces. There for it is not reccomended to leave hot pans or pots, left pressed up against glass for long periods of time ever. All substrate materials require room for expansion and contraction when settled in its final resting place. Now tempered/toughend glass is very strong, see this video courtesy of CREO GLASS DESIGN, In this video they demonstrate how many times its takes to hit toughend glass before you get a reaction. DO NOT TRY THIS AT HOME! So with the right measuring and glazier you should not have an issue with toughened/tempered glass in domestic or commercial placement. ISPS Innovations supply toughend glass splashbacks and mirrored glass splashbacks to Sydney, Melbourne, Adelaide, Brisbane, Northern Territory Darwn,Perth & Tasmania.